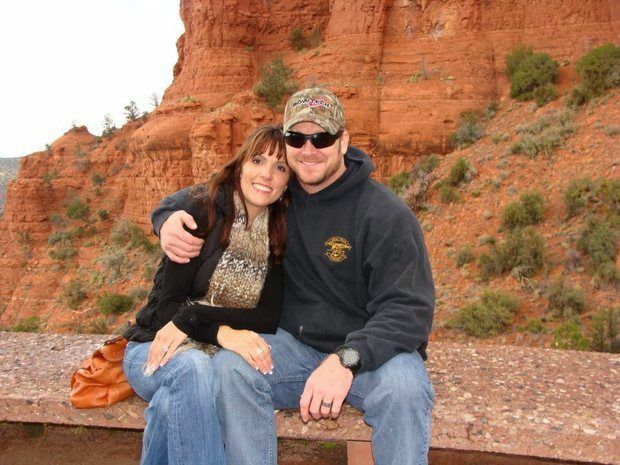 “War puts lightening in your bones and makes it hard to hold onto anything else,” Marc Lee tells his buddy Chris Kyle when he correlates war to holding onto an electric fence and not letting go. This line stuck with me throughout the whole film and it aptly depicts the feelings that Kyle felt both in his tours to the Middle East and back home with his family, war whether far or near was always with him. 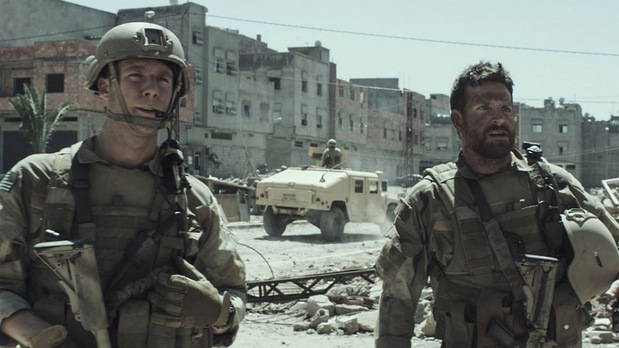 In Clint Eastwood’s highly controversial film American Sniper, he gives audiences a war movie for the generation of people who have endured the Gulf war. 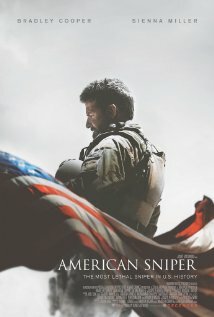 Just as Steven Spielberg was able to capture the essence of World War II with both Saving Private Ryan and Band of Brothers, in American Sniper we see the realities of the Middle East depicted in a way that speaks to the experience that many who have served today could relate to and in fact vouch for its’ truthfulness. 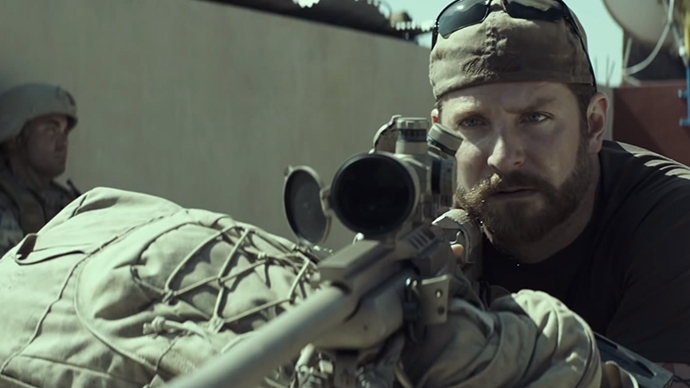 The story is about Chris Kyle (Bradley Cooper), the Navy SEAL sniper who has been credited with the most kills and considered a legend. The film is told from his point of view and paints the picture of a man who never considered himself a hero, but someone who was just doing his job. As someone who lives in San Diego, has family members in the military and works at a company filled with Navy veterans and people who have served, I can first hand tell you that many people have this same sentiment ingrained in them. They didn’t go overseas and risk their lives to get their name emblazoned on a plaque, but to serve their country and do something that would be valuable to the safety of their fellow Americans. The screenplay was adapted from Kyle’s memoir of the same name and gives us his point of view of not only why he joined the Navy, but what war was like for him. People need to stop getting up in arms and upset about this film, it is told from his point of view and his only. If this was a movie set out to tell the Iraqi side of the story or those who lived in the villages that were devastated by the war, then that is a different movie entirely. I think people need to understand that before they set out to see this movie, otherwise they will be sorely disappointed. 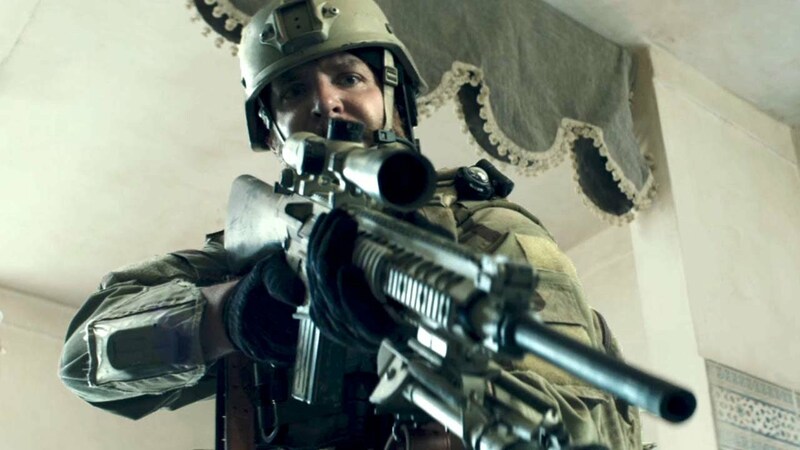 For someone like filmmaker Michael Moore, who has recently taken to Twitter to rant about the film and say that snipers are actually cowards is disheartening to hear. His views although directed at the film, discredit all men and women who have served in the military and it really annoys me to see him out there making these types of claims. As a filmmaker, when he wants to defend his point of view, then he should do so and make his own movie, but bashing Kyle’s legacy is not the way to do it. I have to say this is one of the best movies I have seen in a long time. Eastwood has made some other good movies (some horrible think Jersey Boys), but this one was fantastic and will gain him some due credit despite all the controversy that has surrounded the film. 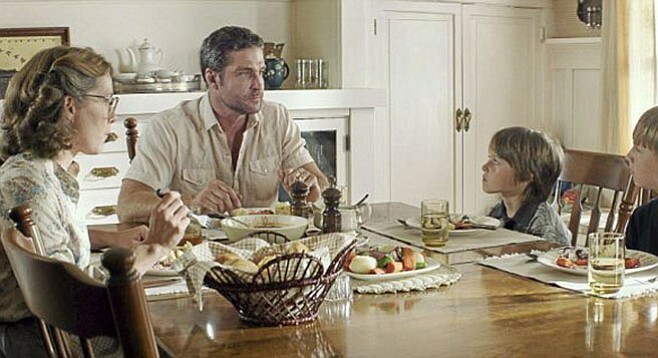 The movie goes back and forth through time, from the early days of Kyle’s childhood where we learn that his father established in him some lessons and virtues that carried through his entire life, to when he met his wife and in battle. These childhood scenes I believe were pivotal in revealing Kyle’s character. When his father tells him that there are three types of people in the world, sheep, wolves and sheepdogs, he quickly realizes that he is the sheepdog. In other words the person that protects the brood, whether family or country, and he lives to ensure the safety and protection of those around him. Kyle decides at 30 years old, which is somewhat a rare age for people to enlist, that he wants to join the Navy and be a part of the SEALs. The elite special operations force that are at the top of their game. At BUD/S (Basic Underwater Demolition/Seals Training) he endures all the crap that is thrown at him and we see him take on the lessons he learned there into the battlefield. In Coronado, which is where the Seals train, he runs into Taya (Sienna Miller), a woman that can smell his kind from a mile away. She quickly sums him up and tells him she doesn’t date SEALs because they are arrogant and glory-seeking, to which Kyle asks her why she would say that when as he puts it, “I would lay down my life for my country.” That ego and bravado mixed with empathy, in a way sums up who Kyle was, he was a nice guy deep down inside, but his main goal in life was to protect his country. Kyle and Taya fall in love and have a family, and we later see how she has to compete for his attention with his intense desire to go back onto the battlefield. 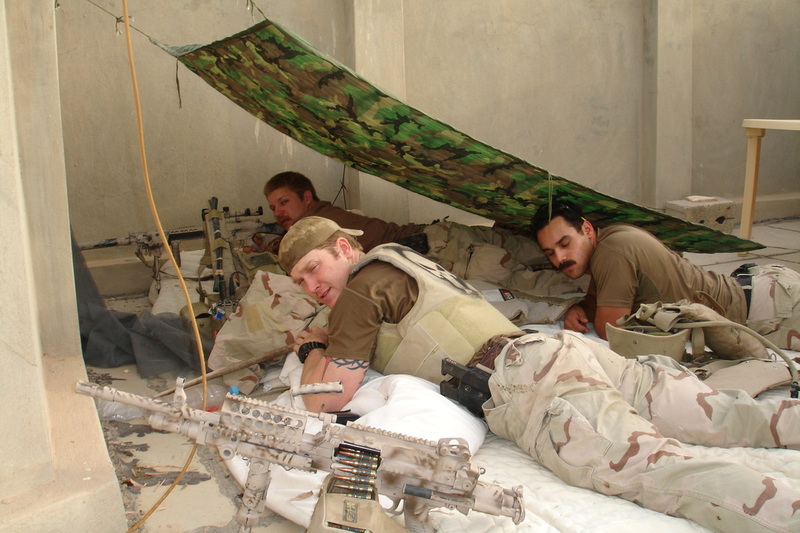 Kyle served four tours overseas and each one was wrought with difficulties and losses of his brethren. As I mentioned before, one of the best aspects of the series Band of Brothers, was the camaraderie that was depicted amongst the soldiers. Eastwood captures that sentiment in this film, we see the moments when they are in their tents together or riding in the humvees about to attack the enemy, where they have jovial conversations and talk about their lives back home or what they are planning to do when they get back. They talk about the women they love and their families, and those are the moments that bring them closer together and can never be forged with anyone else, but their fellow brothers. I like how that was portrayed in the film, even though they were on the verge of killing someone, they intersected those moments with jokes and guys just being guys together. The battle scenes were just as intense as the moments when Kyle was back at home. Trying to focus on being a father without thinking of the past or what he just endured in war was equally as difficult for him. I like that this duality was portrayed because vacillating between the two roles has proved difficult for many. Cooper essentially makes this movie, without him and his ability to bring the emotion and sometimes lack of emotion, is what makes the story come to life. Without saying a word, he was able to be both vulnerable and egotistical. He gave off an air of sense self-confidence that could only come from someone who had survived so much. Bulking up for the role, he embodies the persona of Kyle, not only in his looks, but his mannerisms and did his story justice. Miller also did a great job. 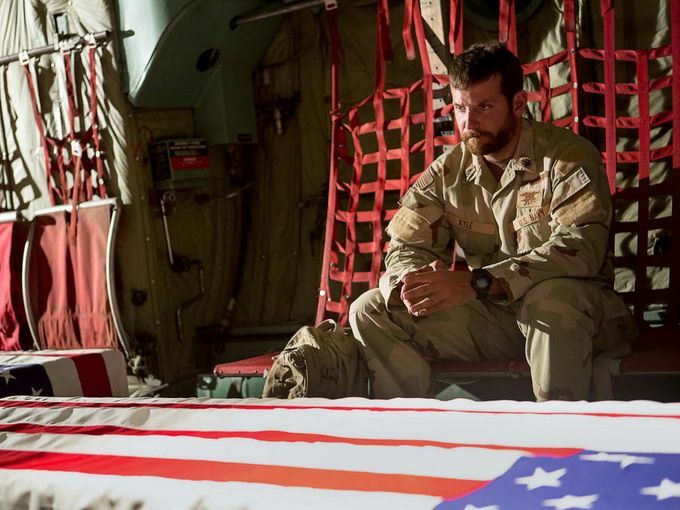 I am usually not a fan of Miller at all, for me she never really shines through, she always just seems like a pretty background actress, but in this role, I think she did a good job of showing what it is like for the families of military personnel who stay behind. They have to deal with the reality of raising their families alone and she was able to convey the sense of both missing her husband and being angry with him. The cinematography by Tom Stern was also well done. The images have a muted tone to them that seem to match the feeling throughout the film. In many of the wide shots, we get panoramic views of cities in the Middle East that are devastated and have been left to crumble. I know there are a lot of mixed opinions on this film and on Kyle himself, but I enjoyed it and I think his story was one worth telling. The realities of war can only be told through the eyes of someone who survived it and were there. Despite any discrepancies, Eastwood did a great job and I look forward to seeing this movie and Cooper specifically, take home some awards at the Oscars. Say what you want about this film, but Eastwood has made a film that has people talking, I haven’t seen this uproar in a long time, and that is a testament to a film that is worth watching because no one cares about a boring movie. What are your thoughts on this film? I would love to hear them. 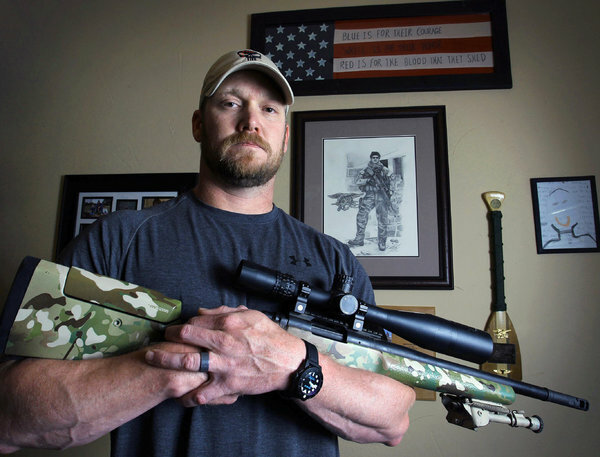 And by the way don’t you guys think the real Chris Kyle kind of looked like Chris Pratt. Great review! I have said this elsewhere but I think this movie has unfairly been caught up in political wrangling. Both sides want to use it for their own political purposes when it’s actually telling a very good story. Thanks Keith, I agree, I mean if we want to dissect it and use it for either side, it can be done, but does this movie have to be dissected like that? I don’t think so. Thanks! I thought this was an overrated film. I get the controversy, but it’s the lack of depth that annoys me. I don’t think the film tells enough about the people involved a d how they cope with war and life at home. There is too much shooting when really it would be better to see these people close up. I can’t see the film taking Oscars. You are never going to please everyone. I think it’s a hard balance to make. I think Eastwood made the film they way he wanted to so therefore it can’t be wrong. If you want a film looking at the effects on war heroes then maybe Born on the 4th of July would be better. I need a bit more depth, but the emotion and action involved in the war scenes was top notch. I wanted to go see this in the theater but then I never did and now I’ve forgotten. Baller Baller! I hate going to the theater when it is packed and it was for this one so I don’t blame you for not going. You might like it! I’ll watch it when it comes out on VOD!! 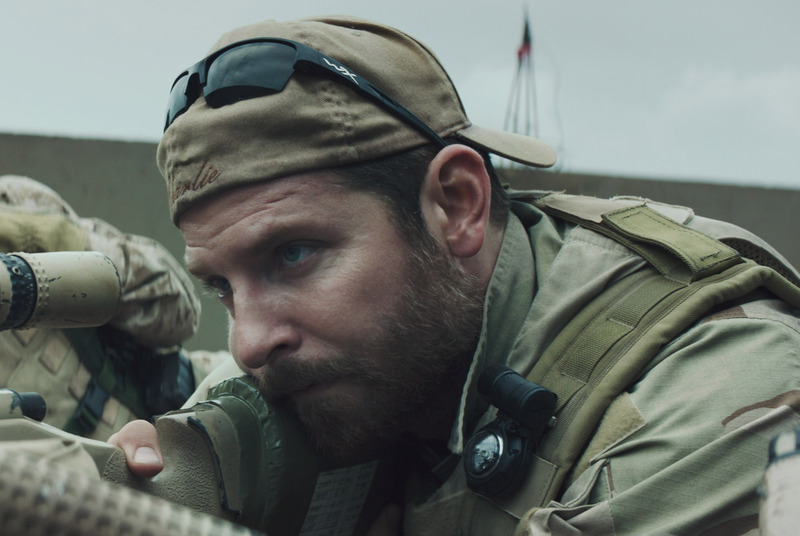 I read that Bradley Cooper only wanted to be a producer for this film and in fact wanted Chris Pratt to play as Chris Kyle, but once Speilberg dropped out, everything changed. Great review. I loved this film. Hey Melissa! Somehow I couldn’t access your blog from my work, but glad it’s working! I haven’t seen this one but yeah that comment from Michael Moore is uncalled for. He denied saying that it’s directed at the movie but how could it not considering the timing of his tweet. I might’ve mentioned this to you but I’m not into war films, it’s just too intense for me especially something that’s still so fresh like the Iraq war and the realistic depiction. The subject matter of this film is such that will garner controversies no matter what, and the fact that it’s so popular would make it an easier target. War is a complex issue but people tend to reduce it to a single talking point and simple labeling and that’s where the conflict starts I think. I might give this a rent, but I think I will check out the two previous war films that Eastwood did, Flags of Our Fathers & Letters To Iwo Jima. Have you seen them Mel? I hear you yes it is totally controversial, but I guess in a way people are not totally ready for this kind of movie. I am sure it hits home for a lot of people in different ways. If you are not into war movies, then this may be too much for you. I can’t remember if I asked you before, but have you seen Band of Brothers? That has to be my fave war movie/series and it’s really, really well done. Yeah I have seen his other movies and I like them both! I actually really like war movies so maybe that’s why I liked this one and I have seen so many WWII movies, I think I was ready for something new. Thanks Ruth!!!!!! Hey I was actually gonna ask you what did you think about the fake robot baby? My hairstylist was talking about that last week and how it really took her out of the movie. She generally liked it but she thought that the fake baby was so glaringly obvious. No I haven’t seen Band of Brothers, Saving Private Ryan nor Black Hawk Dawn, I’m just afraid I’m gonna pass out or my nerves would snap, ahah. Hmmm, maybe I’ll check out Eastwood’s previous two WWII films as it’s interesting that they’re done from both the US and Japanese point of view. I’ll just cover my eyes during the really intense battle scenes. YES that baby HAHA. I was like wait is that a fake baby. What the hell! Oh well I had to let it go otherwise it would have been annoying. Considering this movie is from a man who has been in the industry for like ever, really he couldn’t figure out a way to get a real baby. So odd!!! Haven’t seen this, but you know what, I probably wouldn’t like it. Excellent write-up Melissa! This looks like one of those films with a million different interpretations. Definitely interested in watching this before the Oscars roll around. Excellent review Melissa! I would really like to see this film, even if it is just able to state if I thought it a glorification of the war of not. I have always had the utmost respect for all soldiers and how hard they must work to adapt into their regular lives when they are done with war. Yeah since he does have a San Diego connection he has been featured on the news a lot and I work for the Navy so EVERYONE talks about him here. So many people who are not really movie fans went and saw this. Military people go nuts for this you’d be surprised. There is a lot of info about him that is interesting, there are rumors that he made lots of this up. You should google it it’s kind of interesting. You are right I am sure there is some truth to that. Where do you live?? I live in Israel. Came back from New York a month ago and really miss it… although it’s minus 17 right now… brrr! Oh my gosh that’s far but that’s so cool that we can all connect. I have a friend that lives there too! She teaches at a school there, I can not remember which one. Yes, it’s far but thank God to online communication ☺ hopefully next time I visit the US I’ll have a chance to see San Diego! Great work here lady! I have really been looking forward to seeing this, truly, and it looks like it is well worth the watch. Snipers are cowards? Well… okay then. You should watch it, I think you would enjoy it or at least find it interesting. It is one of the movies that everyone really has an opinion on.